The first Minsk 2019 Coordination Commission meeting came to a close at lunchtime on 22 Septmebr, completing its agenda with reports on transport, security, the volunteer programme, protocol and logistics. It was announced that the sports programme has been finalised, and that it will include: Archery, Athletics, Gymnastics (Artistic, Acrobatic, Aerobic, Rhythmic, Trampoline), Judo, Karate, Badminton, 3×3 Basketball, Beach Soccer, Boxing, Canoe Sprint, Cycling (road and track), Sambo, Shooting, Table Tennis, Wrestling (Freestyle and Greek-Roman). 5 of these sports will be the full European Championships and the majority of them will offer Olympic qualification for Tokyo 2020. The Minsk 2019 official logo has also been launched as the graphic vehicle for taking Minsk 2019 to the world. In his conclusions, CoCom Chair Spyros Capralos said that the premises for a highly successful 2019 European Games are all there. Time is very short, he said, but, with Baku 2015 Europe has already shown how a highly successful continental Games can be organised in a relatively short time, adding that Minsk won’t even have to build any venues, which was instead a great challenge in Baku. We are extremely happy with the quality of the Minsk 2019 venues, he said. He added that it is also very positive that the team at Minsk 2019, almost 100% Belarusian, are all highly experienced, Minsk having a remarkable track-record in organising major international sports events. Spyros Capralos then pointed out that organising any major-size sporting event presents considerable challenges across a wide range of areas but said that the Organising Committee is definitely on the right tracks, making the EOC confident that they will deliver a highly successful event in 2019. 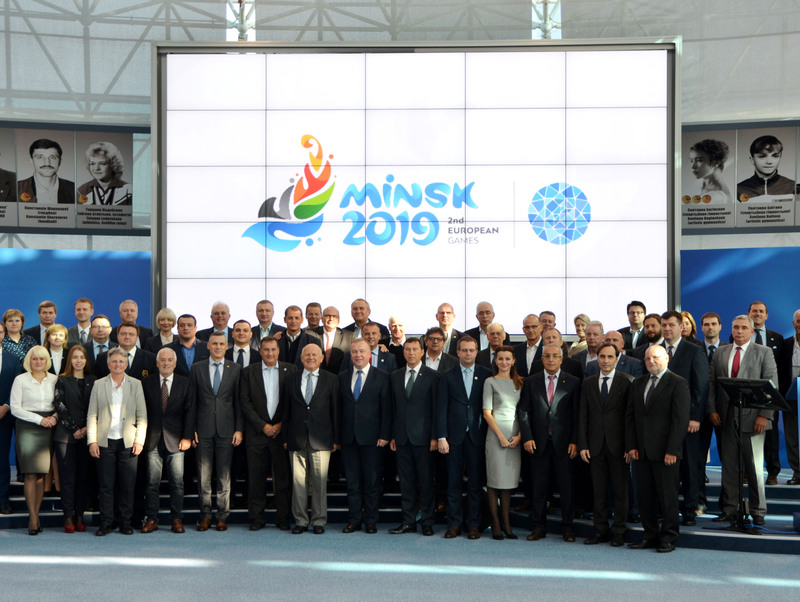 In closing, Capralos thanked the many high-level government officials who attended the first Minsk 2019 Coordination Commission meeting, saying how this was a sign of Belarus’s extremely high commitment to the 2019 European Games. He then thanked NOC First Vice-President Andrei Astashevich and all his staff for the excellent organisation and staging of the meetings, and Minsk 2019 CEO George Katulin for the very comprehensive reports, promising the full support of the EOC, in particular of its many experts, who were ready to assist the Minsk team in whatever way they can. Minister of Sport and Tourism Alexander Shamko thanked the EOC Coordination Commission for their important contribution; in particular he underlined the importance of affirming the status of the European Games at a European level, involving the media, and suggesting an organised press tour to Belarus very soon. He then asked the government representatives to express the EOC’s sincerest gratitude to Alexander Lukashenko, in both his capacity as President of the Republic and of the National Olympic Committee of Belarus, also asking them to convey the gratitude of the EOC to Prime Minister Kobyakov in his capacity as Chair of the Organising Committee. Lastly, he added that the European Games are a splendid opportunity to make Belarus known across Europe. “This country has many values and an important culture that has been a great contributor to Europe,” he said. In closing he thanked CoCom Chair Capralos and CoCom deputy of Matesa and their highly experienced and expert team.